Hi, readers! I’m Amanda and I’m in love with all things slots and casino based. I love to spin the reels and roll the dice – especially if there are big jackpots on offer! Welcome everyone, I’m Sarah and I can’t get enough of big bonuses. I’m always on the lookout for the hottest new deals and have an eagle eye for the T&C’s. If you’re a bingo nut then you’re just like me! I’m Katie and I love bingo of all shapes and sizes. I enjoy gabbing with other bingo players and practicing my lingo too. Here at Bingo Sweets we strive to find you the best bingo sites UK – both online and mobile. We will keep you updated with all the latest promotions and goings on in online Bingoland. We’ll ensure you know everything that’s worth knowing about every bingo site available to you. This is a review site that’s maintained and contributed to by real bingo players. We’re veterans of the industry and there’s nothing better for us than checking out the latest places to play. We love this game and we want to make bingo accessible for everyone, even if you don’t know much about it. Our team is made up of bingo lovers, which is what makes our content so honest and understanding – anything we review or write is done by those with a passion for the game, and those who’ve actually test-driven websites and games, to ensure you get the most accurate information you’re looking for. 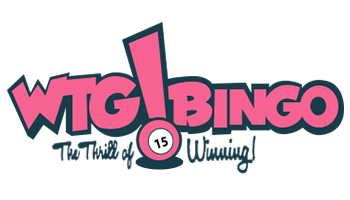 We’re here to provide you with the answers to any questions about online bingo sites you may have. This includes reviews, news and promotions that you may want to know about. We review only the very best bingo sites, to bring you the cream of the crop and even provide you with strategy guides to make the most of them. How do we Pick Sites to Review? With so many new bingo sites arriving on the scene, you may wonder how we pick them. Well, as bingo players, we know what other bingo players want in terms of value and gaming options. We scour the internet for the latest sites and then assess them to make sure they’re up to our standards. We play there and learn all about it before passing that all important information onto our readers. If you aren’t all that keen on spending a lot of cash on your games, we’ll provide you with info on the best free bingo gaming websites, as well as sites which offer you no-deposit bonuses allowing you to effectively try out the site for free first. 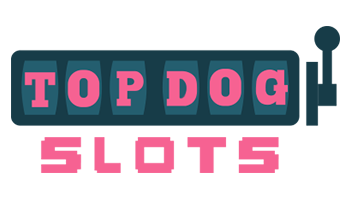 However if you are keen to play with cash for real, here at Bingo Sweets you’ll also find a list of the deposit and withdrawal methods available to you on each site. We know this is important as not all players are comfortable giving sensitive information over the internet, and we know you like the most convenient experience possible – so from voucher payments to paying with your mobile phone, you’ll be able to find a bingo site which suits your payment needs. What Kind of Guides do we Offer? Making the most of your money and understanding promotions is essential for most players. To help you on your quest to do so we provide guides to teach you how to play, the best ways to win and more. This is a supplemental part of our site that can come in really handy, so take a look at them. We’re avid fans of keeping things as up to date and accurate as possible, so we’re always revisiting our previous articles to check the information. We aim to create a great site filled with lots of goodies for our readers, so be sure to visit regularly! If you’d like to get in touch with us for any reason, then you can pop your details into this form in a flash. Just give us your name and email address, so we can get back in touch with you with the answer to your query. Someone from the Bingosweets team will get back to you with additional information, don’t worry –we’re all friendly here!